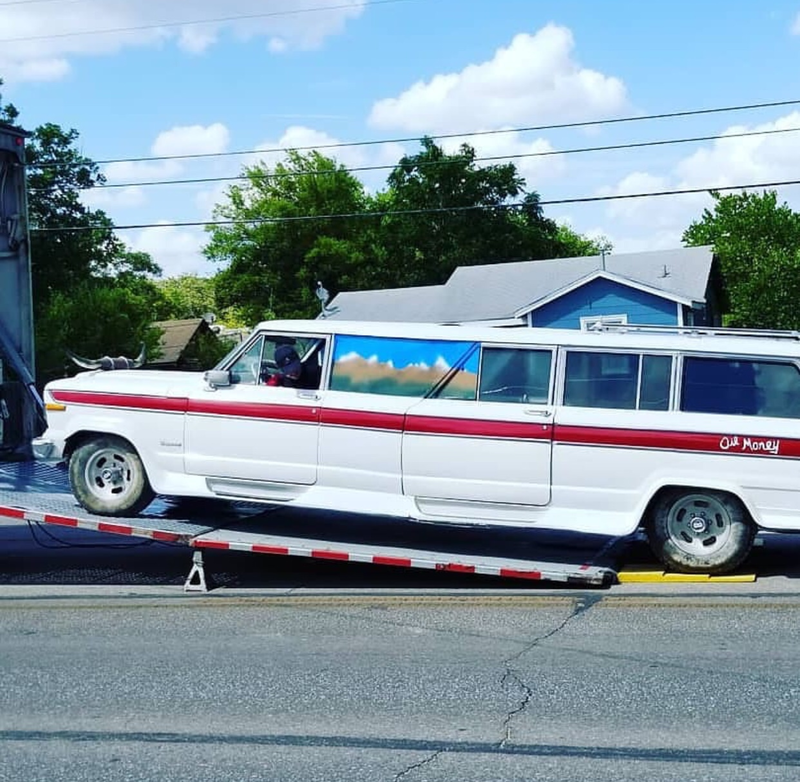 I have seen that "limo" somewhere near Salida, CO on US 285. Been a while. It was a scary concoction. wow. i don't know how i didn't see this thread until now. nice work on the doors and cab. i thought the hardest part to be the roof, i ended up using roofs from three diffrent trucks. 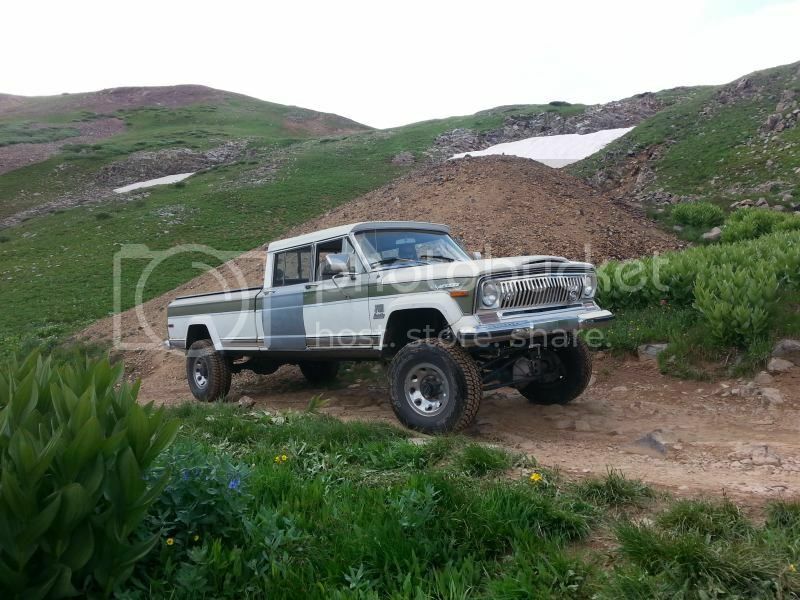 one day could we see two fourdoor trucks in the same place at the same time? I think it is at WagonMaster now- it does look pretty sketchy to me- especially the interior. Austin4x4 wrote: wow. i don't know how i didn't see this thread until now. nice work on the doors and cab. i thought the hardest part to be the roof, i ended up using roofs from three diffrent trucks. 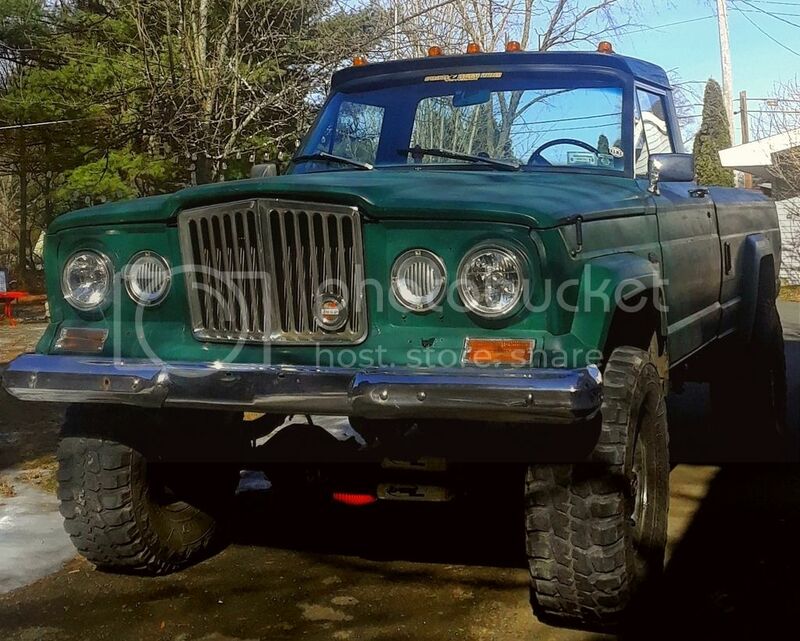 one day could we see two fourdoor trucks in the same place at the same time? I’ve changed the “final build” more than once, so this thread is easy to miss, haha. I agree, the roof will be difficult. I have two roofs so far, and I’m curious to see how that plays out, and to see what I’ll need for a third roof. Man, two four doors in one place!? I’m all in! 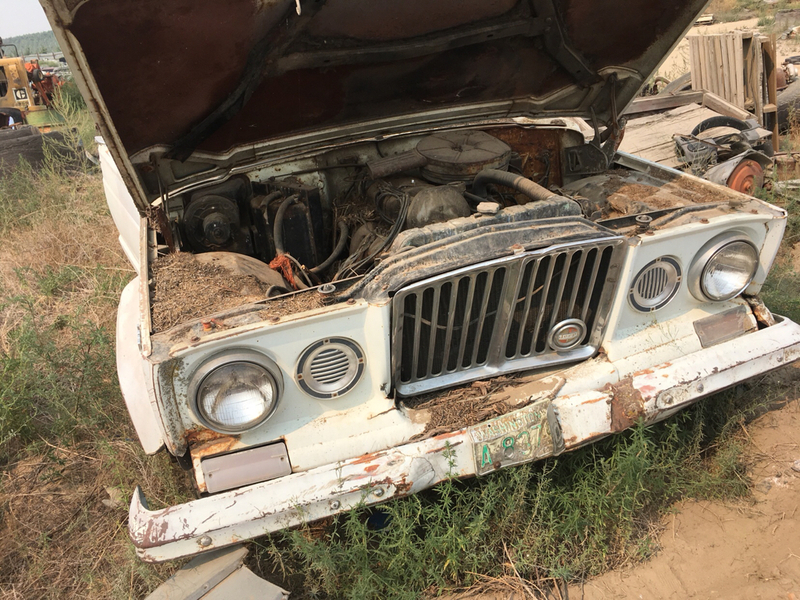 I need to get the body parts cleaned up so it looks less like a junk yard. 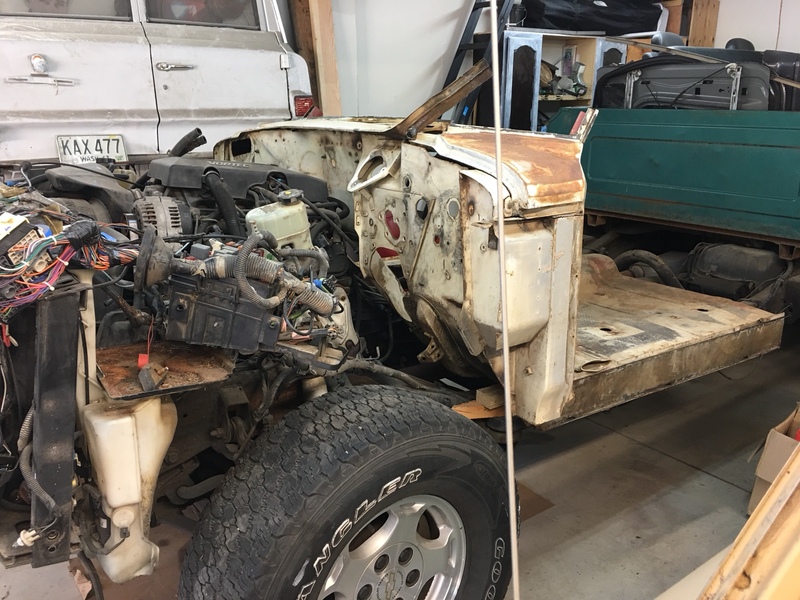 So, while I’m getting the cab dialed in, I put the bed on the 2001 Chevy frame- I won’t be using this bed in the build, but it is storage for parts- now on the back of the Chevy. I’m trading this bed for the 8’ Thriftside version. 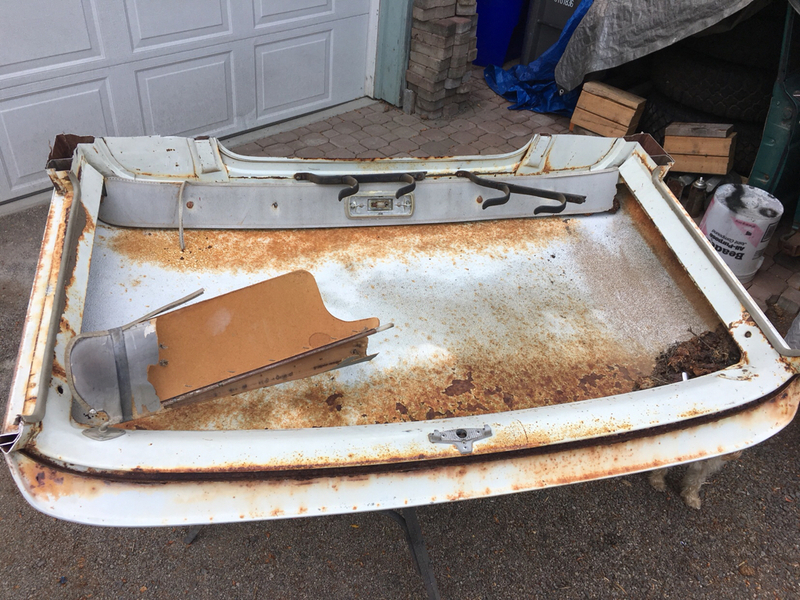 If that deal falls through (I thought it would happen already), I’ll use the ribbed floor section as the base and build a Thriftside, like I did for my 66. I was waiting on the trade to do this ‘mount n store’ with a Thriftside bed, but I need to clear up some space, and this is the “easiest” way to do that. 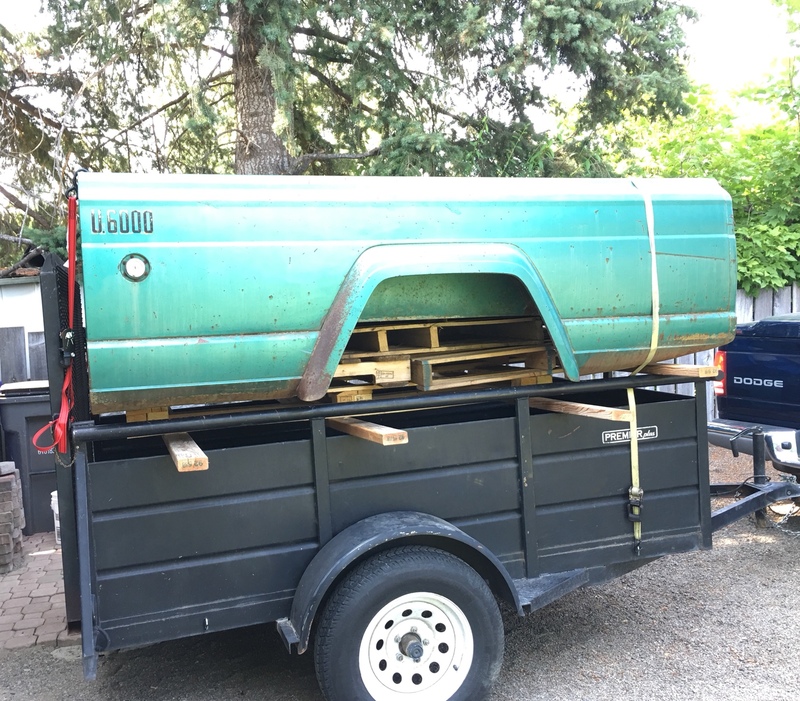 The height of the Jeep bed on the Chevy frame looks right at home. Will you use rubber 1/4" pads like Jeep used for mounts or something thicker? The lines are classic on these trucks- and that bed fits better on the Chevy frame than I would’ve predicted. If I have to use this bed, I’d cut the floor out and use it as the foundation to build the stepside bed I want. I would use come kind of padding, like the original Jeep version. 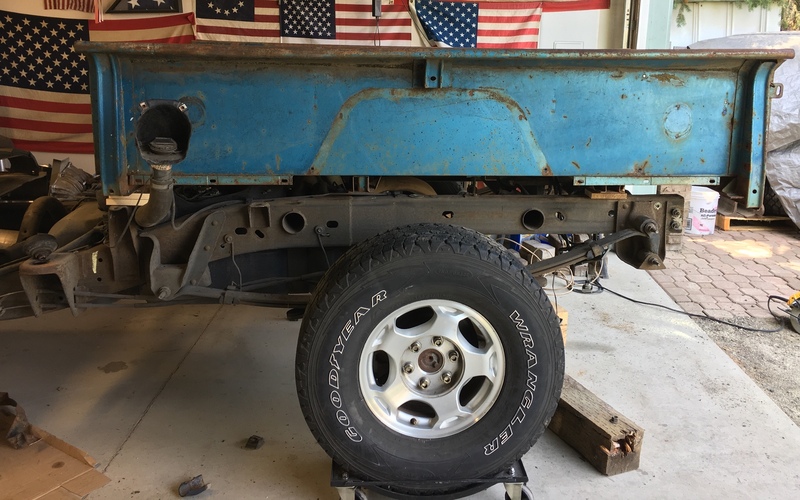 The thickness of the pad would depend on how the quad cab sits on the rest of the frame- custom mounts will be needed for sure, but if the cab sits too high and doesn’t look right, then I won’t be using the Chevy frame. It has to all look like it belongs on there. I’ve got the brow part of the roof on, and I’m waiting on another roof, or two to arrive so I can button up the top. I started cleaning up the firewall, too. I guess I focus less on pics these days and more on the work! It does take 3 truck roofs to make the extended cab. 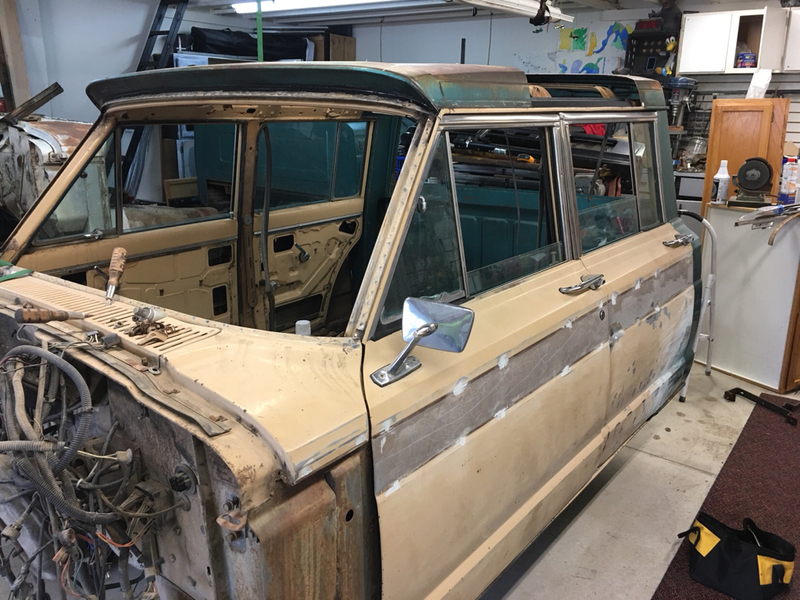 I took some spare body panels (firewall and floor) from a wagoneer and mocked them up on the Chevy frame. Three 2x4’s at this height. And it can set lower if needed- BUT it doesn’t line up with the bed height. Next up, mock up front fenders while I’m waiting on additional j truck roofs. 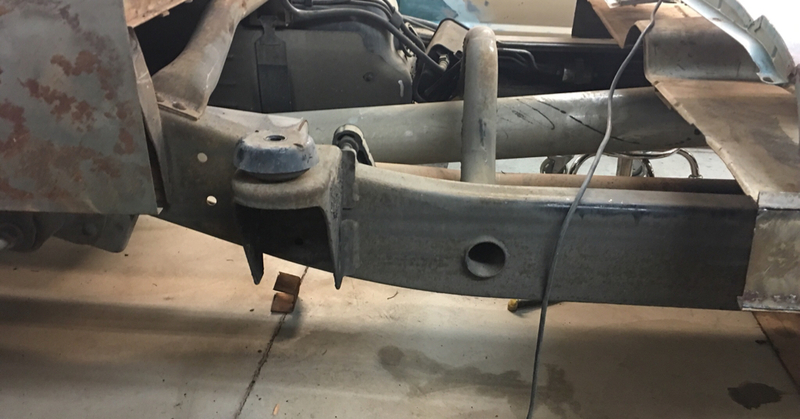 Mocking up spare fenders I got from a local forum member who gave up jeeps for BMWs. This is so awesome that fender looks like it fits perfect over the wheel and the firewall looks like it clears nicely! 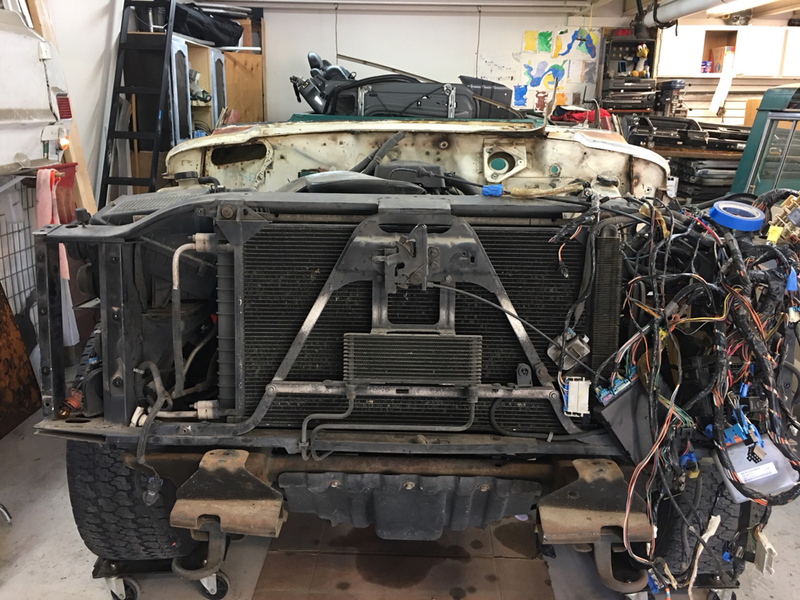 That's exciting for my swap since I am also using a Chevy chassis. How likely do you think it is that you will be able to keep the Chevy core support? Or how much of it can you use? TurboJ4000 wrote: This is so awesome that fender looks like it fits perfect over the wheel and the firewall looks like it clears nicely! Thanks Turbo. Keeping the Chevy core support is the ideal plan. While the mocked up pieces are not square, plumb, or true in their lines, it does line ip nicely. 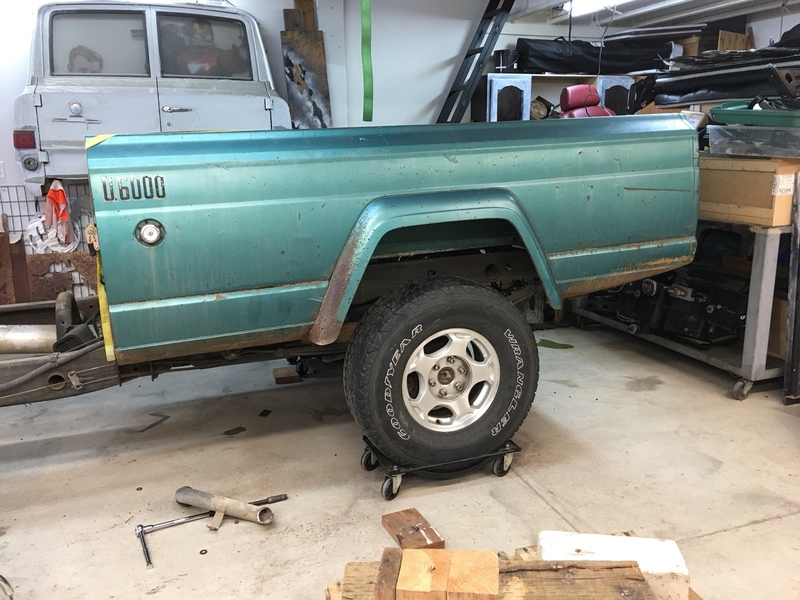 In order to keep the Chevy support I plan on lifting the mocked up pieces in 1” increments until the body lines up with the truck bed. If need be, I’ll shim in 1/4-1/2 inch increments to get the body lined up with the bed. 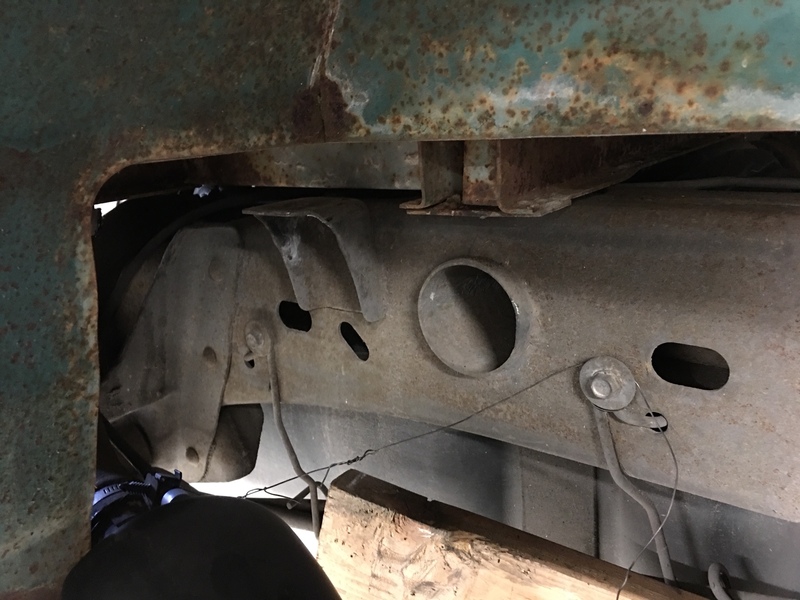 Once that is done, I can adjust the firewall to engine- but the most important alignment is setting the wheel centered in the front fender area. 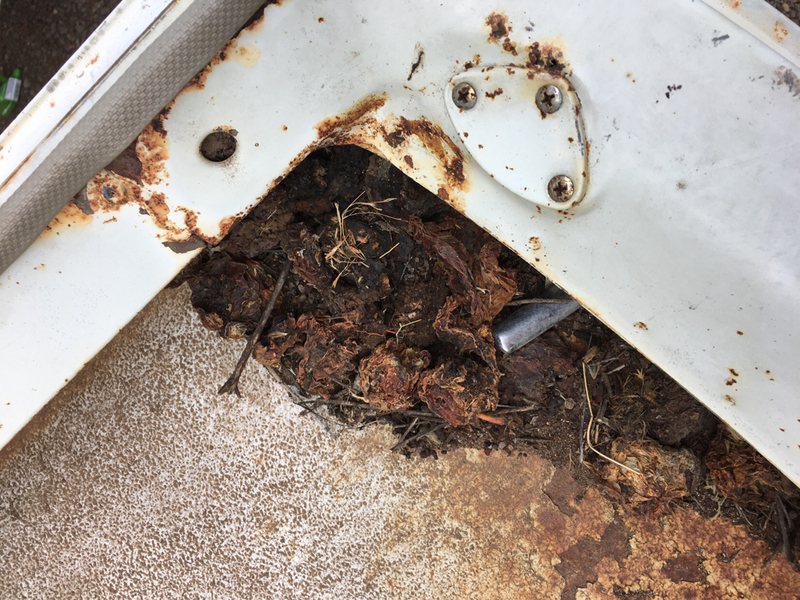 There are two bolts holding the Chevy radiator/ac stuff on and there’s at least 4” of clearance between the radiator and the engine- SO that whole radiator support set up can be slid back toward the engine enough to clear at least the Jeep truck’s grill facia. 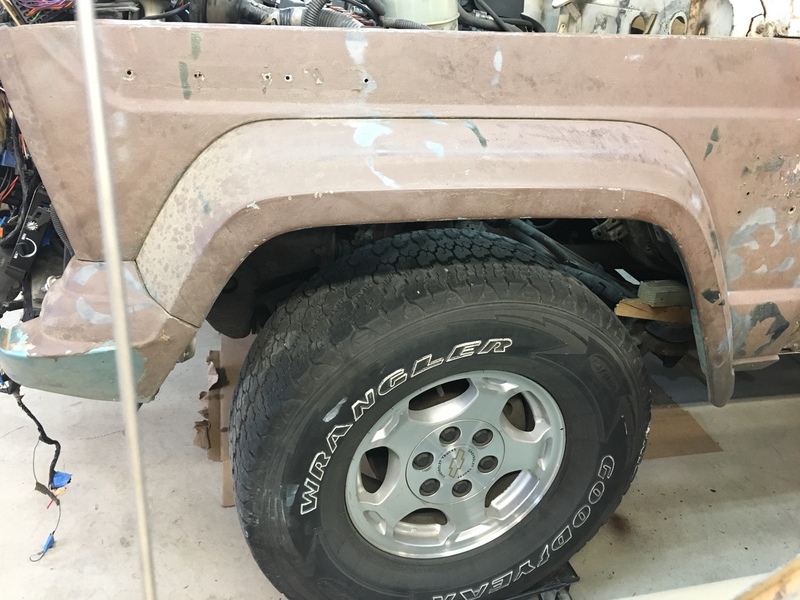 I keep spare fenders front and rear for the truck and the wagoneer; fenders are one of the few parts I don’t really part with. After this build I’ll be down to one spare set! Near perfection? I think so. The front mounting brackets are a bit too long on the bed itself, so it’s shimmed 1 3/4” inches or so until I can mod the bed slightly to sit flat on the frame rails. 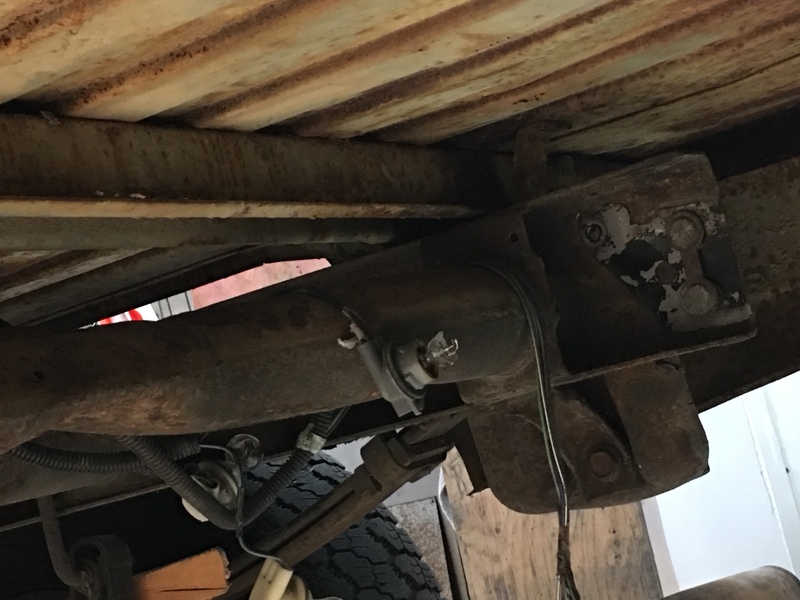 This bed is the same length as the stock Chevy bed, so it is centered on the axle as well. Whew, glad that’s over. We started moving parts at 10:00 am and just finished up at 2:15. Most of that time felt like it went to move the townside bed off the Chevy frame- that dang thing is HeAvEy! 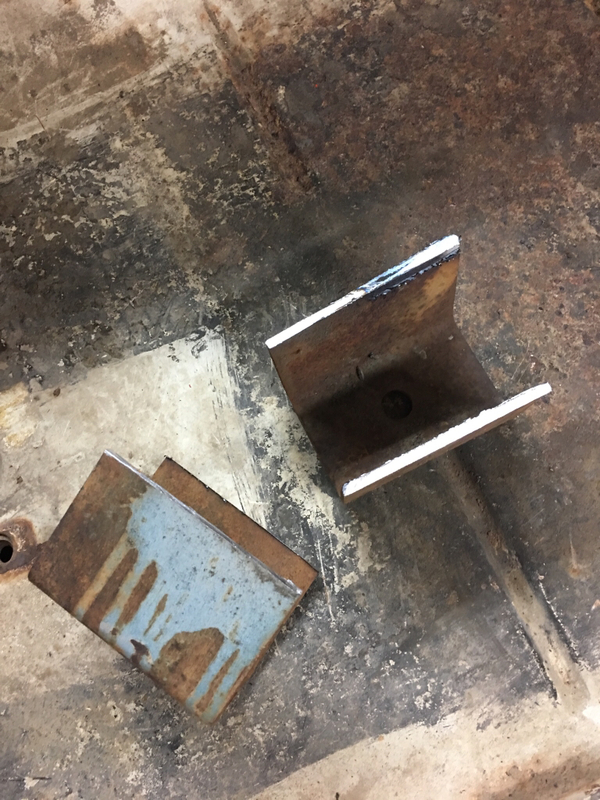 I finally got the chance to cut the front brackets off the Thriftside bed. 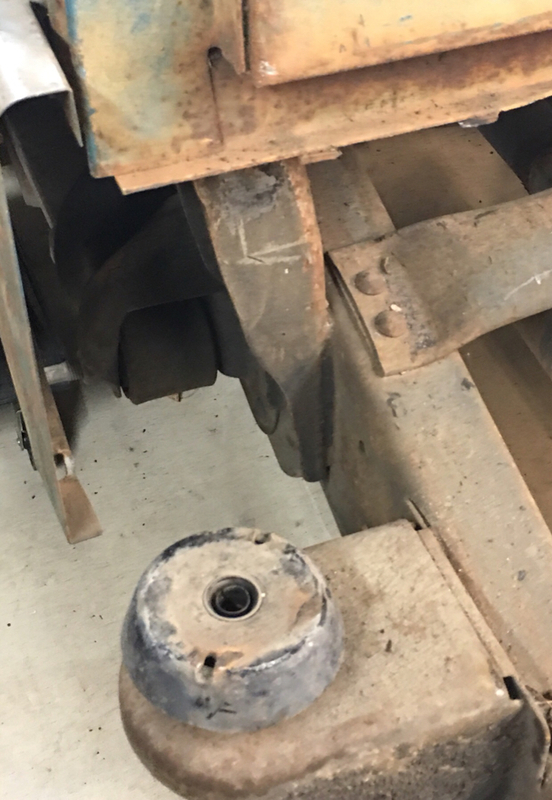 The end result is a manageable gap between the bottom of the bed’s skirts and where the cab’s rocker panels will line up on the bed itself. Now that I’ve put the bed on the frame with some thick pads (consistent with what would be stock), I can load up the bed with the misc parts I’ve collected- and free up much needed space in my garage. I’ve lined up my two roofs for the cab, a road trip is in order. Now I just need to find the time. Last edited by 66stepside on Sun Aug 12, 2018 8:22 pm, edited 1 time in total. I finally got the chance to cut the front brackets off the Thriftside bed. 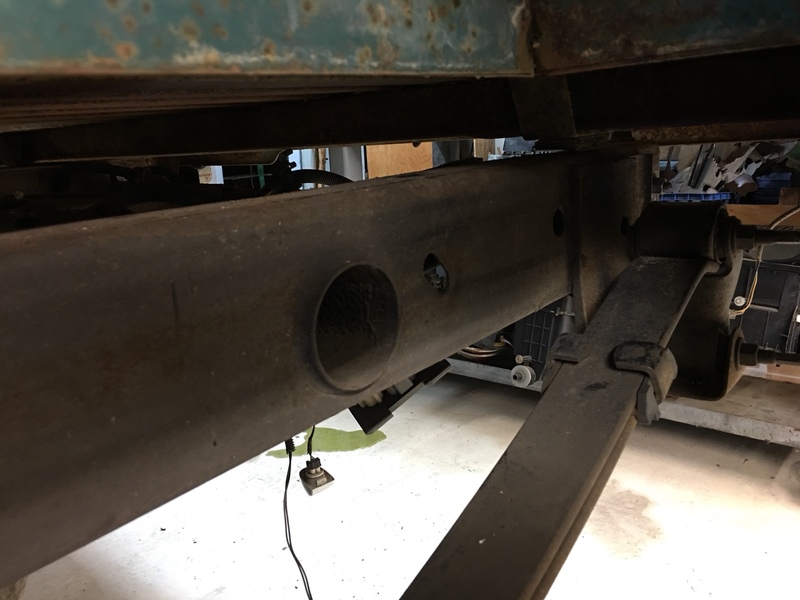 The end result is a manageable gap between the bottom of the bed’s skirts and where the rocker panels will line up on the cab itself. How do you like them apples!? I’ve never seen a delete plate for the passenger’s side sun visor. I know the mat was was optional, but seeing only one is a first for me. 66stepside wrote: 1 of 2 roofs. You didn't happen to snag the grill and pie pans did you? My 68 only had a visor on the driver side with that same delete plate on the passenger side. I thought it was weird that passenger side visor would be optional. 44bz wrote: My 68 only had a visor on the driver side with that same delete plate on the passenger side. I thought it was weird that passenger side visor would be optional. Weight savings to make em faster!! !